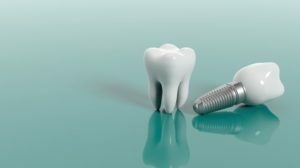 Dentures or Dental Implants in Marion: Why Not Both? Studies show that as many as 80 million Americans suffer from missing teeth. 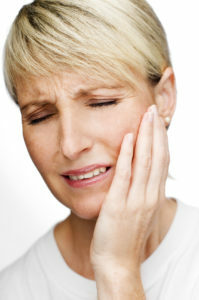 Dentures are the most common way of dealing with this problem. But traditional dentures are held in place either with metal clasps (as with partial dentures) or with sticky, uncomfortable adhesives. Fortunately, there’s a better option: dentures secured by dental implants in Marion. Your Children’s Dentist in Marion Gives 4 Holiday Oral Health Tips! 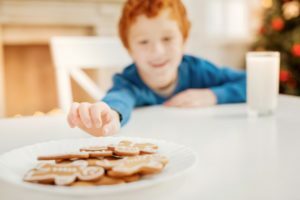 Once again, the holiday season is upon us, which means delectable treats are in abundance, and your kids are eager to indulge in them. Where does that leave their oral health, though? Is there a way to allow them to enjoy the season’s delights without letting their oral health go to waste? Your children’s dentist in Marion says by following 4 simple steps, you can protect their mouth, teeth and gums without denying them the joyous delights of the holiday season. Fix Your Smile and Maintain Your Dignity with Invisalign in Marion! According to recent statistics, over a third of the people you meet for the first time will notice the condition of your teeth before anything else. That means someone could make a false assessment of your character because of your smile flaws. You want to improve the look of your ivories, but you’re no fan of wearing metal braces and drawing even more negative attention to your teeth. 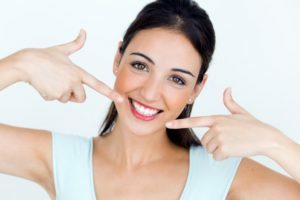 Your cosmetic dentist has a solution – Invisalign in Marion! Learn about this amazing process as you read on! There are few activities more fun than playing sports on the beach and taking photos with your friends and family while you do it. While you’re excited to get your tan and look truly summer, you can make your skin pop even more by pursuing teeth whitening treatments in Marion, regardless of your vacation schedule! To learn how your dentist can make your teeth several shades whiter both at the practice and while you’re on the go, keep reading! When undergoing an orthodontic treatment, you are well on your way to a healthier, more attractive smile. To promote the results of your treatment, it is best to take the time to care for your oral appliance every day. No matter if it is fixed or removable, your orthodontist in Marion will recommend that you clean it properly. This will not only help to protect it from damage, but also to keep your teeth and gums healthy while on your journey to an improved smile. As a parent, you want to help your child have the best oral health possible. But did you know that when it comes to orthodontics, it’s not too late to get issues you’ve wanted solved as well? 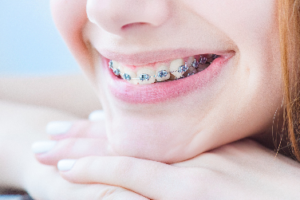 Thanks to the many options from your orthodontist in Marion, both of you can benefit from the world of orthodontics. Not only can your smiles look better, but they’ll be healthier as a result. 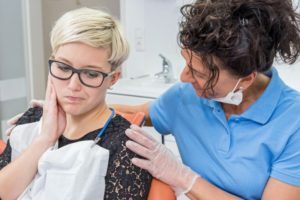 As it turns out, many older patients are coming back to the orthodontist to fix misalignments in their smile as well as improper bites. Keep reading to learn how orthodontics do more than just fix the look of your smile. Pick a Dentist in Huntington That’s Committed to Excellence! 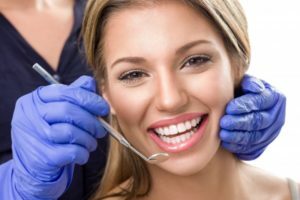 If you’re looking for a new dentist in Huntington, the best way to make your search easier is to find a dentist that stands out from the rest that are available in your neighborhood. You need a practice that pays close attention to your needs, always uses the most advanced technology, and ultimately respects and values your time. Learn more about why you should consider choosing our local practice to call your dental home compared to your other local options in this week’s blog post. Create Your Dental Resolution with Your Dentist in Marion! At the beginning of every new year, it’s worth setting a goal for yourself to achieve by the time you’re watching the ball drop on New Year’s Eve once again. Whether you’re trying to improve your self or volunteer to help those around you, it’s a great tradition people across the country embrace. So, for this year, why not focus on improving your oral health and smile? With help from your dentist in Marion, making a resolution is as simple as taking a moment to read an article. Let 2018 be the year you make a positive change for your smile. The holidays are an exciting time of year as you find the perfect gifts for your loved ones and plan events with friends. With so much planning and things to get done during the months, you do not have time for anything unexpected to occur, especially a dental emergency. Unfortunately, one in six Americans will have one this year. It is important to be prepared because you do not want it to ruin your festivities. When the unexpected strikes, you need to know how to respond at home while calling your emergency dentist in Marion for an appointment.